We understand that making sure you know what to expect from the knee replacement experience is important to you. If you have additional questions as you are reading through this material, please reach out to us to discuss. 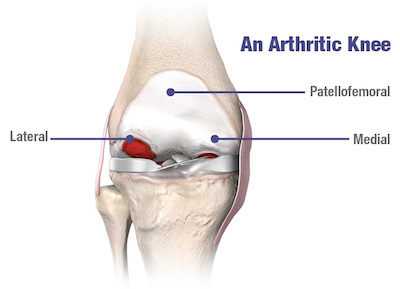 Each patient is unique, and can experience knee pain for different reasons. It’s important to talk to us about the reason for your knee pain so you can understand the treatment options available to you. Pain from arthritis and joint degeneration can be constant or come and go, occur with movement or after a period of rest, or be located in one spot or many parts of the body. 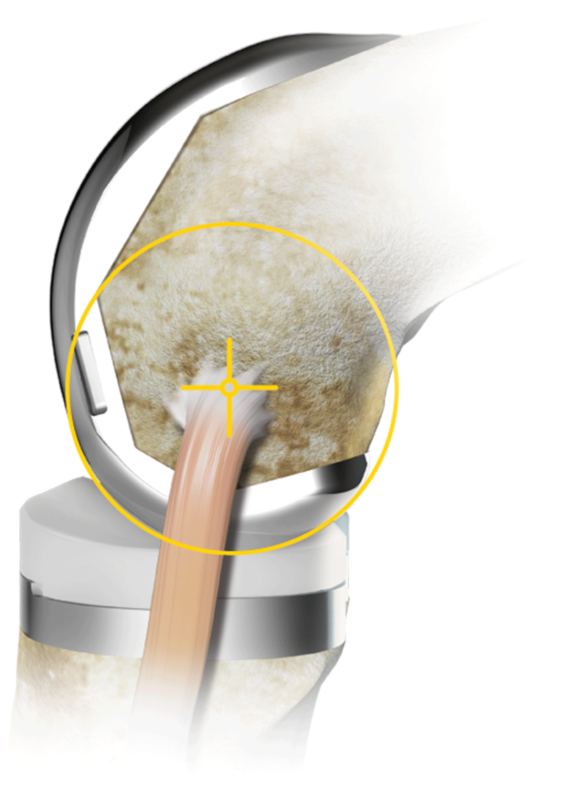 If you haven’t experienced adequate relief with medication and other conservative treatments, total knee replacement may provide you with relief from your arthritis. Contraindications: Knee replacement surgery is not appropriate for patients with certain types of infections, any mental or neuromuscular disorder which would create an unacceptable risk of prosthesis instability, prosthesis fixation failure or complications in postoperative care, compromised bone stock, skeletal immaturity, severe instability of the knee, or excessive body weight. Common Side Effects of Knee Replacement Surgery: As with any surgery, knee replacement surgery has serious risks which include, but are not limited to, peripheral neuropathies (nerve damage), circulatory compromise (including deep vein thrombosis (blood clots in the legs)), genitourinary disorders (including kidney failure), gastrointestinal disorders (including paralytic ileus (loss of intestinal digestive movement)), vascular disorders (including thrombus (blood clots), blood loss, or changes in blood pressure or heart rhythm), bronchopulmonary disorders (including emboli, stroke or pneumonia), heart attack, and death. Stryker Corporation or its other divisions or other corporate affiliated entities own, use or have applied for the following trademarks or service marks: Stryker, Triathlon. All other trademarks are trademarks of their respected owners or holders.